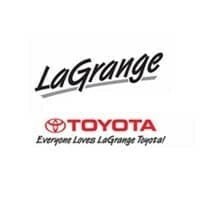 The LaGrange Toyota Service Center is available for battery checks and replacements to help you avoid being left stranded. You don’t have to wait until you turn the key and nothing happens to realize your battery has a problem; low batteries sometimes present warning signs. If your engine is sluggish to start but eventually cranks and if your headlights are dim when the engine is not running, a dying battery could be to blame. You might also notice changes in your electrical accessories ‐ windows rolling up or down more slowly, a radio that isn’t as loud as it once was, or dim dashboard lights. When you notice any of these weak battery signs or whenever you want to simply get your battery tested, our certified Toyota technicians at LaGrange Toyota are happy to test and replace your battery with a new TrueStart™ or True2™ battery. Being manufactured to Toyota’s exact standards for quality and performance, these batteries offer the right combination of cold cranking amps (CCA) and reserve capacity (RC) for dependable starting power regardless of the weather. Our certified technicians know your Toyota better than anyone, so call us to schedule an appointment or do it right here on the website so we can test your battery today!